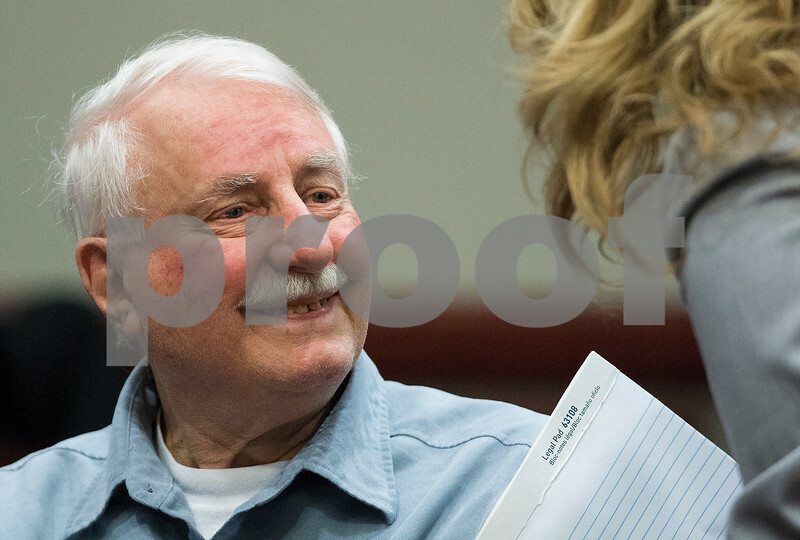 Jack McCullough smiles as he talks with supporters inside the courtroom on Thursday, April 6, 2017 at the DeKalb County Courthouse in Sycamore. McCullough is seeking a certificate of innocence in the 1957 murder of Maria Ridulph. Judge William Brady will reach a verdict on Wednesday, April 12.